The former Sun Records recording artist Rosco Gordon talks about the new and the old Beale Street. By the 1940s, Memphis' Beale Street had become a cultural center for blacks throughout the South. Today its black neighborhoods are gone, replaced by a boulevard of souvenir shops and tourist attractions. 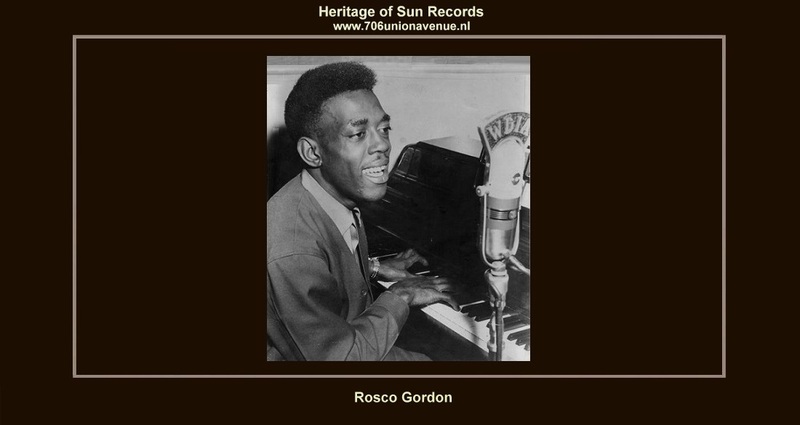 Rosco Gordon left Memphis in 1962 and moved to Queens, New York. He spent the next twenty years working as a dry cleaner. 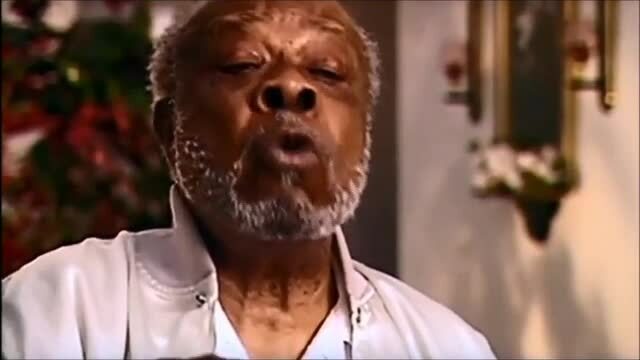 In 2002, he was invited by filmmaker Richard Pearce to be featured as part of a documentary film about several blues musicians, inter alia with Rudy Williams (Mayor of Beale Street), Rufus Thomas, Calvin Newborn, Nat D. Williams, and B.B. King, returning to Memphis for the May 2002 W.C. Handy Awards Festival. Called ''The Road To Memphis'', the documentary aired on many Broadcast Television in Europe. Six weeks after filming finished, Gordon died of a heart attack at his apartment in Rego Park, Queens. Rosco was 74 years old. Rosco Gordon remains a legendary figure in Memphis rhythm and blues scene. Although Rosco always insisted that he was born in 1933 or 1934, making him in his teens when he saw his first successes, census records and Social Security reveal that he was actually born on April 10, 1928, Florida Street in Memphis, Tennessee. In 1951, he began recording for Sam Phillips, who successfully pitched him to RPM Records in California, Chess Records in Chicago, and Duke Records in Houston, Texas. Sales were impressive enough so that legal battles over the exclusive recording services of Rosco Gordon clouded much of his early career. Many of Rosco's early 1950s releases were regional hits. Virtually all of them sold well in Southern markets. In addition, ''Booted'' reached the number 1 chart position in February 1952, and remained on the national rhythm and blues charts for 13 weeks. The follow-up, ''No More Doggin''', reached the number 3 rhythm and blues position in April 1952. Rosco's music continued to appear on rhythm and blues charts throughout the 1950s and on into the 1960s. His records appeared regularly and at times simultaneously on Duke, Vee-Jay, RPM and Sun. On October 25, 1956, Gordon recorded the song "Hard Headed Woman" for Sun Records, but it was not released. (It is not known whether this is the same song that Elvis Presley recorded in 1958, but its doubtful!). Gordon also in the group called the Beale Street Boys, which also featured B.B. King on guitar, Johnny Ace on piano, and Earl Forrest on drums. It was while performing at the Palace Theater on Beale Street in Memphis that Elvis Presley watched Gordon perform. Gordon was not alone is his lack of reverence for the exclusive contract. These were exciting times. Rosco was young, and the payoffs were immediate and high. Like many, he often signed away his rights on songs which could have netted him considerable security. But such opportunism was rampant in the music business during the 1950s. Looking back to the legal wrangling over ''Booted'', Rosco recalled: ''I was new in the business... Too young to really know right from wrong. Chess came to town with Ike Turner and they wanted me to record the thing. I think they promised me $1000. I ended up getting $800. Ike Turner was the guy honchoing for Chess. He went out and picked up all the black acts. He was also recording for Sun and hustling for Modern, for the Bihari brothers. I'm telling you! He even tried to record one of my tunes. I went into the studio and I did ''No More, Doggin'''. Then later on we were supposed to work and I'm out looking for my musicians. The tenor player's wife said, 'They're at Tuff Green's house. Ike picked them up and they're over there'. Ike had my whole band over at Tuff's house and I could hear the tune from the outside. I knocked on the door and waited about five or ten minutes before they opened the door. When they finally opened it I went in and started giving everybody hell. And after all of this, they still stole the publishing from me. They paid me for the recording session and nothing else. That's about all you were going to get. I tried to sue them one time for ''No More Doggin''. They finally gave me the writer's credit. I don't think I was the only one. I think every act with Modern were losers. They never paid you. They gave you whatever you agreed to up front and that was it. The only money you ever saw was as a writer. If they let you keep that''. The suggestion to Rosco Gordon that without guys like the Biharis, the Chess brothers and the Mesners of Aladin Records, all of this music might not have been recorded. The major labels weren't doing any kind of job with it. A lot would have been lost. ''That's probably true. It probably never would have been recorded. But it sure would have been nice if they had been upfront about paying you royalties. Even a portion of your artist royalties. I never saw any of it. That's why I always felt it didn't matter who you recorded anything for. They were all going to treat you the same. I was never compensated right. If it would have been different, I would have thought twice about recording the same tune for somebody else. We were so naive about the record business. Our attitude was, ''Give me the bucks and let's move on'''! Above, Rosco insisted that Ike Turner introduced him to Sam Phillips. in another interview, Rosco said, ''I first went with Sun Records. I heard there was a recording company down on Union Avenue so I went by, Sam Phillips gave me ''Booted'' and said to learn it. I came back with my full band and we did it for him and that was that. I was on the radio, on WDIA at the time. I went to Sam before Rufus Thomas did. Rufus was also on WDIA. He invited me there. He had an amateur show on at the Palace Theatre on Beale Street. I won the first prize and the next day I went to WDIA and they auditioned me and next week I had my own show. That was around 1950. I was just a kid - 16 or 17 (actually 22). I made the money too early''. ''When I was at Sun I supervised my own sessions. Sam Phillips was on the other side of the window but I was running the show. Ike Turner wasn't part of any of the sessions. Basically, Sam was the engineer. He also made sure you stayed there till you got your feeling. When we did ''The Chicken'', we went in at 9:00 and stayed in the studio until 4 in the morning. Of course, that was in 1955 and it was for release on Sun. He may have been a little more casual four years earlier when the product was for lease. Sam did not produce in the modern sence of the word. He didn't bring any ideas to the session. Only 'Do you feel it'? or 'Can you get it tighter'? We did all our practising before we came to the studio. We used to rehearse at the Club handy. We probably got most things in four of five takes when we were in the studio. If we hit wrong notes, as long as we felt them we left them in (laughs)''. Sam used the expression ''Rosco's Rhythm'' to describe his piano style and the early piano-led rhythm and blues he recorded. Where did ''Rosco's Rhythm'' come from? Who influenced Rosco? ''My mother had an old piano, I would go in and play it every day. It became a thing with me. I never idolised any other musician. I never tried to copy after anyone else. Never in my life. I have no favourite musician. Favourite music, yes. But not musicians. I think I'm the best writer, the best singer. I can't back that up. I have no cash. But I think I'm the best. In the early Days I was working all over and every night. I only had three pieces. I played piano, Man Son on drums or Murry Daley. And Ray Jones on alto. later on I added a bass, but not early on. The bigger I became the more musicians I used. Bobby Bland and I went to Duke Records at about the same time. We were performing together then. We all probably went because of David James (Mattis) at WDIA. He said it was OK to go after he talked with (Don) Robey. We took his advice 'cause David James was a decent person''. There were few artists with whom Sam Phillips had a longer relationship than Rosco Gordon. He must have held Rosco in very high regard. ''Well, I delivered. Each time I went to bat, I came up with something. You know, not a million seller, but something respectable. The only million seller I had on his label was ''The Chicken''. But that led to my problems with Sam Phillips. Bill Harvey who was with Duke Records in Houston was at the Club Handy when we were practising and he took it to Robey. Robey gave me $450 to sign the publishing over to him. And after it came out, Robey used Sun. After that Sam lost interest in me. He thought I betrayed him, which I'm sure I did now''. Over the next several years Sam Phillips continued to issue Rosco's music. ''The Chicken'' came out on Sun 237 in 1955. It was followed by ''Cheese And Crackers'' in 1956 and ''Sally Joy'' in 1957. ''Robey waited for ''The Chicken'' to run its course. It was a 'spot record'. It hit in different markets at different times and stayed big a the time. Robey waited 'til it was clear it was a big moneymaker. Then he sued. After that, Sam never did any more business with me. He gave me the proper manly respect, but as far as recording me again, no way. I even drove down from New York to Memphis to see him. The only thing he said was, \ I see you're still wearing those $200 shoes'. But he didn't want to record me anymore. I said, 'I got some stuff', but he said, 'Well...'It all went back to that one deal with Robey. That was a bad $450 investment. Remember, Sam got hit twice by Robey. He lost ''Bear Cat'' with Rufus Thomas also. But I didn't know any better. Money was money to me. They'd give me $200-300 for a record session and that was it''. Rosco Gordon appeared in the 1957 movie "Rock Baby Rock". (The film starred Johnny Carroll and Kay Wheeler. Kay had been one of the founders of the International Elvis Presley Fan Club and was billed in the movie as the "Queen Of Rock And Roll"). Gordon recorded "Just A Little Bit" (Vee Jay 332) in February 1960 (his only charted Billboard Hot 100 record). Elvis Presley recorded the song in 1973. There is a picture of Elvis Presley and Rosco Gordon in the Sun studio control room, which suggests that they were fast friends. Through it all, Rosco Gordon had a higher regard for Sam Phillips than for any other label owner. ''I'll tell you why I have so much respect for Sam. He never dealt from under the deck. Whatever he had to give you for a session, he gave it to you. I learned from the man. I learned never do a tune you can't follow up. He'd say, 'Why you gonna do ''Cheese And Crackers''? What you gonna do after the cheese and crackers? Combread? Biscuits''? In 1960, Gordon released his last charting single "Just A Little Bit", which was both an rhythm and blues and pop hit. However there were no further hits despite Gordon's youth, talent and exuberant and oddball personality. In 1962, he gave up the music industry and moved to Queens, New York with his new wife where he purchased a partnership in a laundry business. Following his wife's death in 1984, he returned to performing in the New York area. In 2002, he was invited by filmmaker Richard Pearce to be featured as part of a documentary film about several blues musicians returning to Memphis for a special tribute to Sam Phillips in conjunction with the May 2002 W. C. Handy Awards. Called The Road To Memphis, the documentary aired on PBS television. Six weeks after filming finished, Gordon died of a heart attack at his apartment in Rego Park, Queens. His body was found on July 11, 2002, although he had apparently died several days earlier. He was 74 years old. He was interred in the Rosedale Cemetery in Linden, New Jersey.